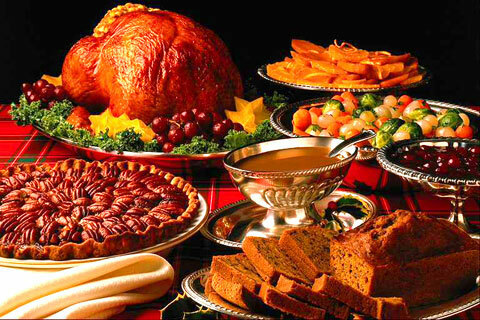 I always love Thanksgiving because it means food and football. But more than that, it is a time for family to get together. It is a time to thank people in your life for helping you be who you are. It is a time to thank God for everything, and I mean everything. I know it is hard for some people to gather with their family because they may not like some of the people. You may be holding a grudge against another family member for something they did yesterday, last month, last year, or ten years ago. Well, I recommend finding a way to forgive them. It is really holding you hostage and not them. (The forgiveness blog is for another day.) For tomorrow, just please try to find a way to be in the same area as them without causing a riot. We should be thankful everyday and not just on the holidays. Everyone in your life has made a difference, whether the relationship with that person was good or bad. You are who you are because of that. Ultimately, you are who you are because of God. He has given us life. He gave us His Son. He has a plan. Here are some people I want to thank for all they do for me and my family. I thank my parents for raising me and the moments in time with my Mom on earth and her continual spirit I feel with me. I thank my Dad for being my hero everyday. I thank my sister Nancy for always supporting me. I thank my wife Karen for never giving up, even though I give her plenty of reason. I thank my daughter Eleanor, aka Roo, for teaching me new things everyday and for being my princess. I thank my business partners Rose and Beth for being family and looking out for me. I thank all the family members at United Strength Academy for showing up to life and not just sessions. I thank my new 217Church family and West Windsor small group for helping to keep my faith strong as I do my best to follow Jesus. There are many more and if I didn’t list you I apologize. I will sum it all up by thanking the One and only Being that makes this all possible, my Heavenly Father. God, I thank you for everyday I live. I give my life to You. I pray that my ears, eyes, heart, and mind will always be open to Your word. Jesus, I truly desire to take up my cross and die so I may follow you. I do not want to chase you, although I will until I am always just walking behind you. Thank you Savior for dieing for me and giving me hope. Please continue to give me the opportunity, wisdom, and courage to encourage others to come to you and say “Jesus, I have sinned. Please forgive me. I want to know you. I want to follow you.” In your name Jesus I pray.